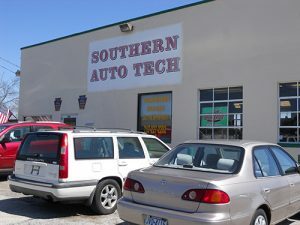 Our Repair Center and Main Address is: 16617 Susquehanna Trail S, New Freedom, PA 17349. Next door is our Used Car Lot. We have been servicing the the New Freedom, PA and surrounding area for over six years. We pride ourselves in our quality service and affordable rates. We also have an on-staff A.S.E Master Technician and Advanced Level Specialist. You’ll have peace of mind knowing that your vehicle was repaired with the highest quality parts available and we offer warranties on all of our parts and labor. All of our equipment and processes meet environmental standards for freon, oil and anti-freeze disposal. Please call to schedule an appointment. We look forward to servicing your vehicle!